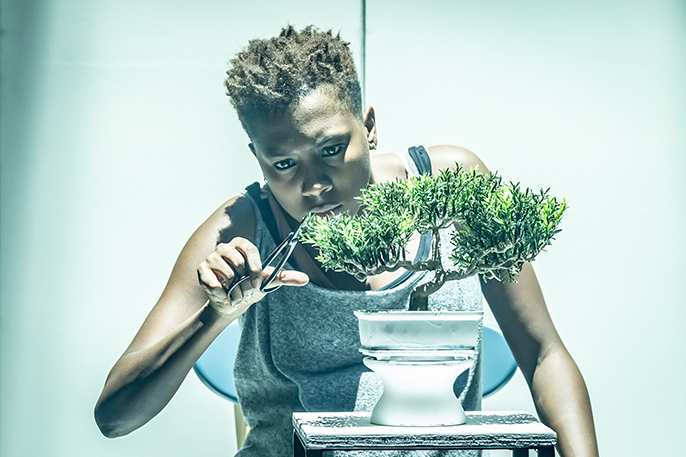 Jade Anouka (Bea) in The Phlebotomist at Hampstead Theatre. Photo credit Marc Brenner. Ella Road’s debut play, The Phlebotomist transfers to the Hampstead Theatre Main Stage, following a sold out run Downstairs in 2018, with Jade Anouka reprising her role as Bea. Bea meets Aaron. He’s intelligent, handsome, makes her laugh and, most importantly, has a high rating on his genetic profile. What’s not to like? Char has two degrees and is on the brink of landing her dream job but her rating threatens it all... In a ratist world where health, wealth and happiness depend on a single blood test - dictating everything from bank loans to dating prospects – phlebotomy reigns supreme. So how far will people go to beat the system? Ella Road’s debut play is a powerfully provocative vision of a dystopian future, questioning the value we place on one another, whether knowledge really is power, and if love truly can conquer all.